Sucrose Acetate Isobutyrate. 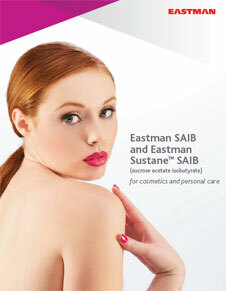 Eastman™ SAIB-100 (Sucrose Acetate Isobutyrate) by Eastman acts as a fixative. It is an odorless, thermally stable, viscous liquid. It has very light color (less than 1, Gardner color scale). 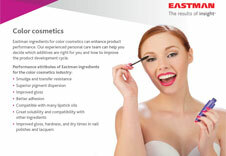 It is produced by the controlled esterification of sucrose, a natural sugar, with acetic and isobutyric anhydrides. 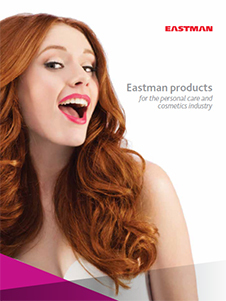 Eastman™ SAIB-100 (Sucrose Acetate Isobutyrate) is used in cosmetic care products. Please note, these HSP values are estimations. It is based upon the “like seeks like” principle. It splits an ingredients interactions into three parameters; δD (Dispersion force interactions), δP (Polar forces interactions) and δH (Hydrogen bond force interactions). 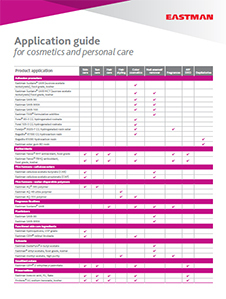 Hansen Solubility Parameters can help you find a wide range of products that are predicted to be compatible with Eastman™ SAIB-100 (Sucrose Acetate Isobutyrate). A practical determination of these HSP values would provide higher certainty. Learn More.